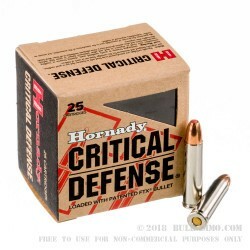 A welcome addition to the already excellent cartridge for intermediate sized game and for home protection (though many aren’t aware of the excellent benefits of the round’s ballistics for such a purpose). 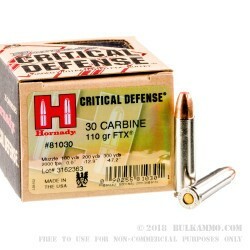 This Hornady Critical Defense .30 Carbine ammunition is a tactical version of what was already built with tactics in mind, way back when it was put into service by the United States Military. 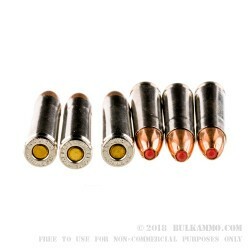 Now, what was already a hard hitting round with a good size for large quantities of cartridges and an excellent caliber bullet, gets an upgrade on the terminal ballistics capability by the addition of this round nosed projectile with a polymer plug to help control uniformity of deformation and enhance penetration at the same time. What was already a suitable pig or deer cartridge now becomes and amazing deer or pig cartridge. 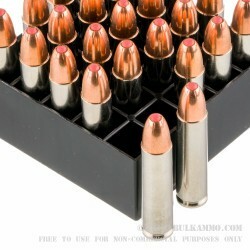 The loaded numbers are very similar to mil-spec cartridges with a slight improvement in velocity (2000fps) and ft. lbs. of energy (977) at the muzzle. But the expansion of the round is extremely different, with the polymer cap and the engineered design. This design also limits penetration in gelatin testing. Which makes it a much more interesting self defense round. With most rounds penetrating higher than 31 inches, the gelatin performance of the Critical Defense ammunition can be kept around 20 inches. All factors included, this leads to a conclusion that at the very least, this is a load worth looking into for fans of the caliber.